..:recycled minds:..: Arise then...women of this day! Howe's manifesto is somewhat obscured by the more familiar Mother's Day story: where Anna Jarvis came to regret the commercialized version of her well-meaning campaign to honor mothers with a holiday. Why Howe's feminist, anti-war day became subsumed by Jarvis's more "sentimental" holiday (and I harbor no prejudice toward sentimentality), one can only guess. 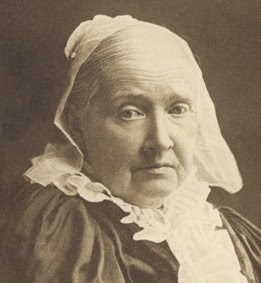 Equally intriguing is the Mother's Day Proclamation in context of Howe's other writing, specifically "The Battle Hymn of the Republic," the Civil War hit published in 1862, and "The Hermaphrodite," published post-humously in 2004 and presumably written in 1846-47. When placed beside one another, these three pieces offer a fascinating look at gender politics in 19th century U.S.
For more information, visit juliawardhowe.org, Code Pink, and Jodie Evans's article, "Do You Know Why Mother's Day Was Started?" Unfortunately, "Attention all Walmart shoppers" is now the common cry on Mother's Day. Like sheep to the slaughter. Having healthy, loving children is the best mother's day gift one could, and should, ever ask for.